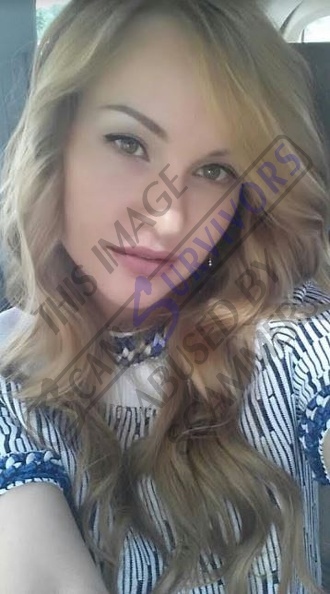 Scammers abusing stolen photos of Ksenija K.
Guten Abend!!!! Ich habe Ihren Kontakt von der Heiratsagentur gefunden!! Ich habe mein Bild beigefugt. Ich mochte dass es gefallt Ihnen.... Freunde nennen mich Tatyana !! Ich bin schon 37 Jahre alt!!! Ich denke du bist ein guter Person.. Ich habe gelernt, dass sich heute viele Menschen im Internet nach Liebe suchen!!!! Aus diesem Grund wollte ich mich auch fur diese Methode verwenden!! Sie haben mich interessiert und ich entschied mich, Sie zu treffen.. Ich denke, dass, vielleicht haben wir eine Chance!! Ich mochte akzentuieren, dass ich nur eine ernsthafte Beziehung finden mochte. Ich interessiere mich nicht nur virtuelle Romanze!! Ich mochte wirklich, eine Mensch zu treffen, mit der ich eine Familie grunden kann.... Kannst du mir etwas uber sich selbst und Ihr Interessen erzahlen , bitte?? Ich bin sehr daran interessiert, dein Fotografie zu sehen!! Ich werde auf Ihre Schreiben warten!!! Good evening!!!! I found your contact from the marriage agency !! I have attached my picture. I liked that it pleases you .... friends call me Tatyana !! I am already 37 years old !!! I think you are a good person .. I have learned that today many people are looking for love on the internet !!!! That's why I wanted to use this method !! They interested me and I decided to meet you .. I think that, maybe we have a chance !! I liked to accentuate that I just wanted to find a serious relationship. I am not only interested in virtual romance !! I really liked to meet a person with whom I can start a family .... Can you tell me something about yourself and your interests, please ?? I am very interested to see your photography !! I will wait for your letter !!! "She" is part of the same fraud group as viewtopic.php?f=11&t=73186. yunbex.info & yundex.info are two domain names created only for being used as an relay infrastructure while sending messages looking like they are sent from yandex.com. The real owner of the pictures is Ksenija K. The images are stolen from her account on vK (vKontakte). Hello Dear I found your address from the brides website. I attached my photograph. I believe you enjoy foto. Do you consider attractive my foto? I am Tatiana. My age is almost 38 years old. I think that you are a good guy. I found out that in our time woman find future husbands in World Wide Web. Therefore I decided to employ this way too. I liked you, and I decide to get acquainted with you. Who can know, maybe we are the right combination? Like another people on the World Wide Web. I must to say, that I am solely interested a long-term relationship. I am not looking for solely in chat, a virtual flirting. I do not intent to lose a minute for this. All I desire is to meet man with which I will create a family all rest of life. I beg you tell me some info about your interests? If you have the photo, send to me their. I 'll wait for your answer. Tatianushoka. This is a mirrored image of the first photo in this topic. Good Day Darling I got your e-mail from the dating site. I attached my photo. I believe you enjoy photo. Do you consider attractive my appearance? Friends call me Tatiana. My age is almost 38 years old. I think that you are a good person. I heard that now people get acquainted with partners on the global network. And I wanted to apply this system too. I found pleasant you, and I decide to talk with you. Who can know, maybe we have a chance? As other people on the global network. I must to especially single out, that I am only looking for a long-term relationship. I am not looking for exclusively games, a virtual romance. I do not intent to lose a second on this. All I wish is to know someone with which I shall create a family all rest of life. Please write me a little info about your interests? If you have the new photograph, I would like to see it. I will anticipate with impatience for your answer. Tatianulenka. The stolen picture received with the message is already reported here (the second one above). Hi my dear stranger. I found your email address from the brides agency. I send the photo. I believe you love portrait. Do you enjoy my foto? I am Tatyana. My age is 37.5 years old. I believe that you a nice guy. I heard that in our time some people get acquainted with their love in the World Wide Web. That is why I decided to try this system too. I interested in you, and I wanted to get acquainted with you. Who can know, possibly we we are two halves of one whole? As other people in World Wide Web. I have to to draw your attention that I am only waiting a long-term relationship. I not interested solely in chat or a virtual romance. I do not intent to miss a minute on this. I need is to know someone with which I can create a family all rest of life. I ask you say me some info about your life? If you have the recent image, I would gladly have looked their. I 'll wait for your letter. Tatyanoka! Gru?e, lieber Fremder!!! Ich habe Ihren Mailadresse von der Heiratsagentur gesehen.. Ich habe mein Foto angehangt!!! Ich mochte wirklich dass es gefallt Ihnen!!! Freunde nennen mich Tatyana .... Mein Alter ist fast 38 Jahre alt! Ich glaube Sie sind ein freundliche Mensch... Ich wei?, dass sich jetzt viele Madchen im Internet treffen.. Aus diesem Grund habe beschlossen ich mich auch fur diese Methode anwenden.. Ich mag dich und ich habe beschlossen, dir zu schreiben! Ich glaube, dass, vielleicht haben wir eine Chance.. Ich muss betonen, dass ich nur eine langfristige Beziehung suche.. Ich will mich nicht nur Chat!!!! Alles, was ich will, ist, eine Person zu finden, mit der ich fur den Rest meines Lebens glucklich sein kann!! Kannst Sie mir etwas uber dich und dein Interessen erzahlen ?? Ich werde mich freuen, Ihr Portrat zu sehen... Ich werde auf deine email warten!! Greetings, dear stranger !!! I have seen your email address from the marriage agency .. I attached my photo !!! I really liked that you like it !!! Friends call me Tatyana .... My age is almost 38 years old! I think you are a friendly person ... I know that now many girls are meeting on the internet .. That's why I decided to use this method too .. I like you and I've decided to write to you! I believe that, maybe we have a chance .. I must stress that I am only looking for a long term relationship .. I do not want to chat only !!!! All I want is to find a person I can be happy with for the rest of my life !! Can you tell me something about you and your interests ?? I will be glad to see your portrait ... I will wait for your email !! Originating ISP: Hosting Services, Inc.
Ich habe Ihren Adresse von der Dating-Site gefunden.... Ich habe mein Aufnahme angehangt! Ich hoffe es gefallt dir.. Ich bin Tatyana . Mein Alter ist 37 Jahre alt..
Ich glaube Sie sind ein freundliche Mensch. Ich habe gehort, dass sich jetzt viele Menschen im Internet nach Liebe suchen!!! Daher wollte ich mich auch fur diese Ansatz !! Ich muss sagen, dass ich nur eine langfristige Beziehung finden mochte. Ich interessiere mich nicht nur Chat.. Ich mochte wirklich, eine Mann zu treffen, mit den ich eine Familie grunden kann!!!! Konnen Sie mir etwas uber sich selbst und dein Hobbys schreiben , bitte?!?! Ich wurde gerne, Ihr Photographie zu sehen... Ich werde auf deine Nachricht warten!!!! Dies ist meine E-Mail, die auf Ihren Brief wartet tanecotero81@yandex.com ! I found your adress from the dating site .... I attached my ad! I hope you like it .. I am Tatyana. My age is 37 years old .. I think you are a friendly person. I've heard that many people are now looking for love on the internet !!! Therefore, I also wanted to approach this !! I have to say that I just want to find a long-term relationship. I'm not only interested in chat .. I really liked to meet a man with whom I can start a family !!!! Can you tell me something about yourself and your hobbies, please?!?! I would like to see your photograph ... I will wait for your message !!!! This is my e-mail waiting for your letter tanecotero81@yandex.com! 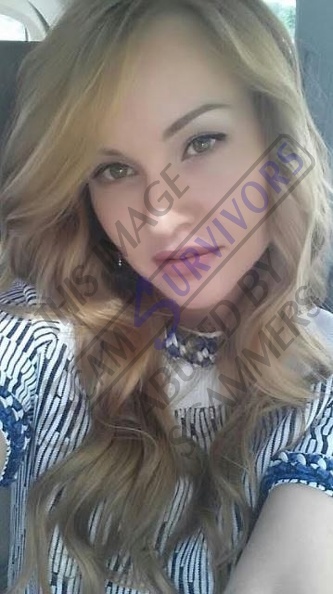 The stolen picture received with the message is already reported here (Apr 06, 2019). Ich habe Ihren Mailadresse von der Ehe Agentur gefunden.. Ich habe mein Photographie sende dir!! Ich mochte wirklich es gefallt dir! Mein Name ist Tatyana !!! Mein Alter ist fast 38 Jahre alt!! Ich mag dich und ich habe beschlossen, Sie zu treffen.... Ich denke, dass, ganz plotzlich haben wir eine Chance! Kannst Sie mir etwas uber dich und dein Interessen schreiben ??? Hier wartet meine Adresse auf Sie tanecotero81@yandex.com !!! Ich wurde gerne, dein Foto zu sehen... Ich werde auf Ihre Antwort warten!! I found your email address from the marriage agency .. I have my photograph send you !! I really like it you like it! My name is Tatyana !!! My age is almost 38 years old !! I like you and I have decided to meet you .... I think that, quite suddenly we have a chance! Can you write me something about you and your interests ??? Here my address is waiting for you tanecotero81@yandex.com !!! I would like to see your photo ... I will wait for your answer !! Subject: Ich suche einen netten Mann. The stolen picture received with the message is already reported here (Mar 10, 2019). Ich habe Ihren Kontakt von der Ehe Agentur gefunden!!!! Ich habe mein Fotografie sende dir..
Ich mochte wirklich dass es gefallt dir. Mein Name ist Tatyana ... Mein Alter ist fast 38 Jahre alt! Ich denke du bist ein interessante Mann!!!! Ich habe gelernt, dass sich heute viele Frauen im Internet lieben... Daher habe beschlossen ich mich auch fur diese Methode anwenden! Sie haben mich interessiert und ich habe beschlossen, dich kennenzulernen!!!! Wer wei?, ganz plotzlich haben wir eine Chance!!! Ich muss akzentuieren, dass ich nur eine langfristig Beziehung suche!!! Ich brauche mich nicht nur virtuelle Romanze! Alles, was ich will, ist, eine Mensch zu treffen, mit der ich eine Familie grunden kann!! Kannst Sie mir etwas uber sich selbst und Ihr Leben erzahlen , bitte?? Meine Mail wartet auf eine Antwort lov4tatya@yandex.com!!! Ich werde mich freuen, Ihr Bild zu sehen!! Ich werde auf deine Antwort warten. I found your contact from the marriage agency !!!! I have my photography send you .. I really liked that you like it. My name is Tatyana ... my age is almost 38 years old! I think you are an interesting man !!!! I've learned that today many women on the Internet love each other ... So I decided to use this method! They interested me and I decided to meet you !!!! Who knows, all of a sudden we have a chance !!! I have to accentuate that I am only looking for a long term relationship !!! I do not just need virtual romance! All I want is to meet a person with whom I can start a family !! Can you tell me something about yourself and your life, please? My mail is waiting for an answer lov4tatya@yandex.com !!! I will be glad to see your picture !! I'll wait for your answer. Subject: Ich mochte ein gluckliches Familienleben. The stolen picture received with the message is already here (Mar 10, 2019). Ich hoffe, es geht euch allen gut? Ich habe ihren die adresse elektronischer post von der eheagentur bekommen. Ich ich sende foto. Ich denke, dass ich wirklich real bin hat ihnen sympathisch. Bei mir den verbreiteten russischen namen Tatiana. Mir 37 der jahre. Ich ich vermute, dass sie freundlich der mensch uberzeugt. Ich gehort ich wei?, dass es gegenwartig der frauen ist viel kennen finden die liebe im Internet. Wegen seiner habe ich mich entschieden diesen das herangehen zu verwenden. Du mir du bist, und ich habe mich zu schreiben, dir diesen brief. Plotzlich, ist bei uns eine beziehung eingehen weiter. Ich will sagen, dass ich mich nur langfristig die beziehungen interessieren. Bei mir nicht erwecken einfach die verlogenen beziehungen nicht interesse. Ich ich traume mit vom mann und glucklich bis zum ende des lebens! Erzahle mir ein paar worter uber sich und die lebensinteressen die begeisterungen bitte. Ich werde ist froh grosser uber dich zu erkennen. Sind mir das foto, damit sehen dich. Ich warte und ich werde froh ist deinem dem brief glucklich. Ich warte auf Ihren Brief, hier ist meine Adresse tatla.tutu@yandex.com !!! Mit den herzlichen gruben, Tatiana! I hope you are all well? I have received your e-mail address from the eheagentur. I send a photo. I think that I am really real sympathetic to them. For me the common Russian name Tatiana. Me 37 years. I suspect that you are the friendly person convinced. I heard I know that it is presently women know a lot about love on the Internet. Because of it I decided to use this approach. You are me you, and I have me to write you this letter. Suddenly, we have a relationship going on. I want to say that I am only interested in long-term relationships. For me, the false relationships do not interest me. I dream with the man and happy to the end of the life! Please tell me a few words about yourself and your life's interests. I will be glad to know more about you. Are you the photo, so see you. I'll wait and I'll be glad your letter is happy. I am waiting for your letter, here is my address tatla.tutu@yandex.com !!! With the hearty pit, Tatiana! The stolen picture received with the message is already reported here (second one - Feb 18, 2019). Ich habe ihren die adresse elektronischer post von der eheagentur bekommen. Ich befestige foto. Ich denke, dass ich wirklich real bin hat ihnen sympathisch. Mich rufen Tanya. Mir drei?ig sieben der jahre. Ich ist, dass sie freundlich der mann uberzeugt. Ich habe, dass es jetzt der frauen ist viel kennen finden die liebe im Internet. Deshalb habe ich mich zu versuchen, diesen die methode. Interessant du interessierst mich wie der mann, und ich habe mich entschieden dir. Plotzlich, ist bei uns eine beziehung eingehen weiter. Ich will sagen, dass ich mich nur ernst die beziehungen interessieren. Mich interessieren einfach die spiele nicht interesse. Ich will mit vom menschen und glucklich bis zum ende des lebens! Erzahle mir ein paar worter uber sich und die lebensinteressen das hobby bitte. Ich werde glucklich ist froh grosser uber dich zu erkennen. Ich sende wollte deine fotografie, damit habe eine grobere vorstellung von dir. Ich warte und ich werde froh ist deinem dem brief glucklich. Bitte senden Sie mir eine E-Mail an diese Adresse yahsd.tatyana@yandex.com . I got the address of electronic mail from the marriage agency. I attach a photo. I think that you will like that I am really real. Tanya call me. I'm thirty thirty years old. I am that you friendly the man convinced. I have found out that women now know a lot about love on the internet. That's why I have to try this method. Interesting you interest me as the man, and I have decided you. Suddenly, we have a relationship going on. I want to say that I am only seriously interested in the relationships. I'm just not interested in the games. I want to be with people and happy to the end of life! Tell me a few words about yourself and the interests of the hobby please. I'll be glad to know more about you. I wanted to send your photography, so have a rough idea of ​​you. I'll wait and I'll be glad your letter is happy. Please send me an e-mail to this address yahsd.tatyana@yandex.com. The stolen picture received with the message is already reported here (the 3rd one posted on Feb 18, 2019).